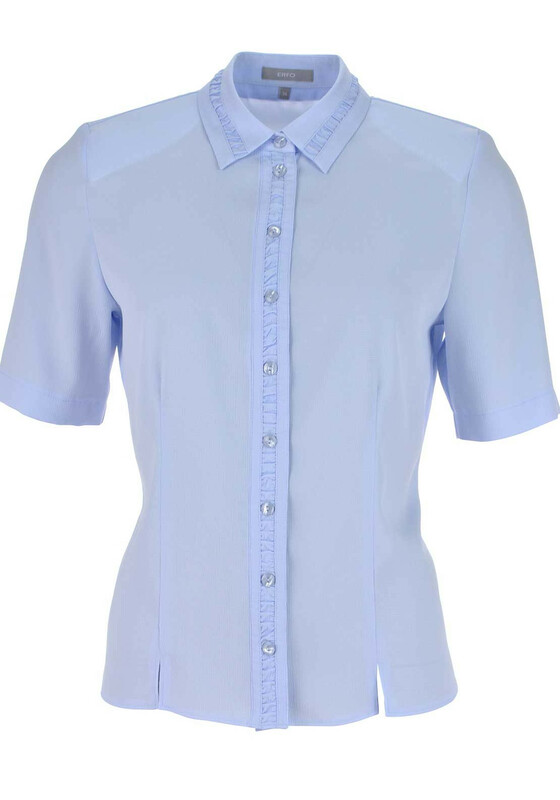 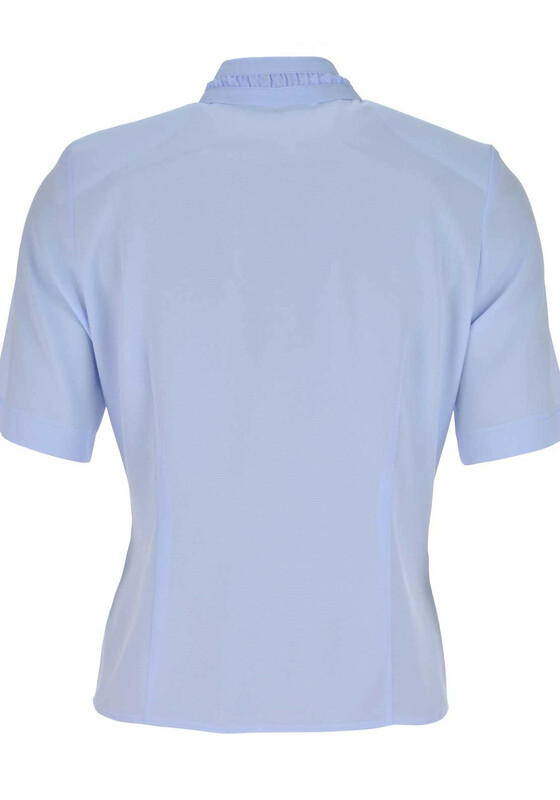 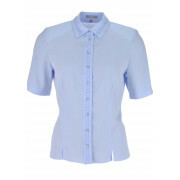 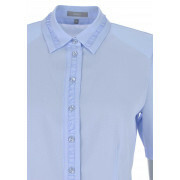 A pretty blue blouse from ERFO which would be ideal for work or worn with beige chino trousers for a trip into town. 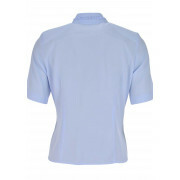 Designed with a boxy shape and featuring shoulder pads that add shape and definition. 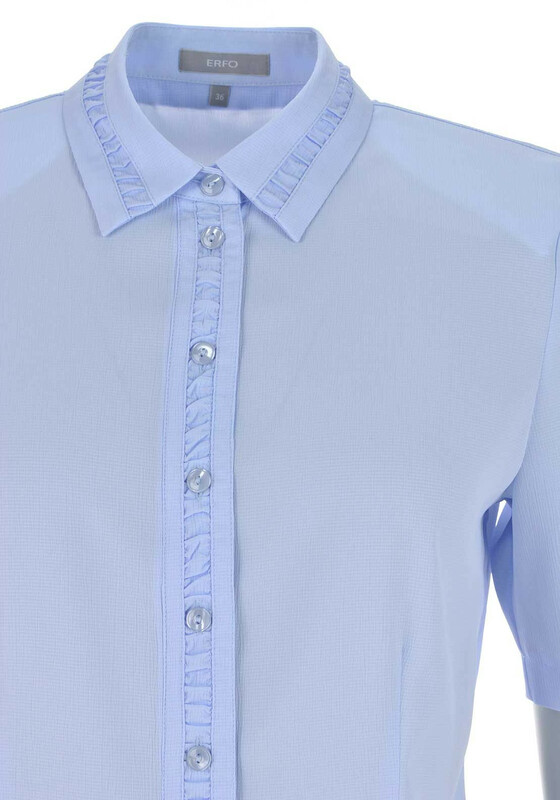 Other details include an all over textured pattern, turn down collar with ruffle detail and a full button placket.